If we ship the wrong item we will pay return postage on the original item shipped, and promptly ship the correct part, that's our responsibility. If you decide to return and item that is not defective, for any reason, will will provide a 100% refund, less the original shipping costs. You will need to return the item(s) at your shipping cost. We offer a 1 year warranty on our rebuilt speedometers, the exchange of the exact one we ship you will be required. Warranty on other parts sold we will provide the warranty provide from the various manufacturers. All our products are first run, no seconds, all in original packaging. We do not sell scratch/dented items, all brand new from manufacturers. We ship parts about every day, usually between 5-11pm eastern time, so feel free to call at night. We also pack items on Saturday and Sunday, E/mail us 24x7-365 days per year. Call us up to 10 Pm eastern time, and feel free to call us on Saturday and Sunday's as well. we ship, USPS and UPS. We have shipped to over 40 countries and will ship anywhere USPS or UPS goes! I am more than happy to stand in line at the post office to save you money on shipping. We can ship from small items to running boards and gas tanks around the globe. We go out of our way to service the global restoration community! If you have any issues , please do not hesitate to call me, Mark Sullivan, Owner. Customer satisfaction is all areas comes before sales and profit! 1-855-785-5988. We are primarily an internet based business, located in southern NH. However if you are out and about and want to drop by, shoot me and e/mail or give me a call. We do stock over 3000 parts and have 98% of what we sell on the shelf at all times. 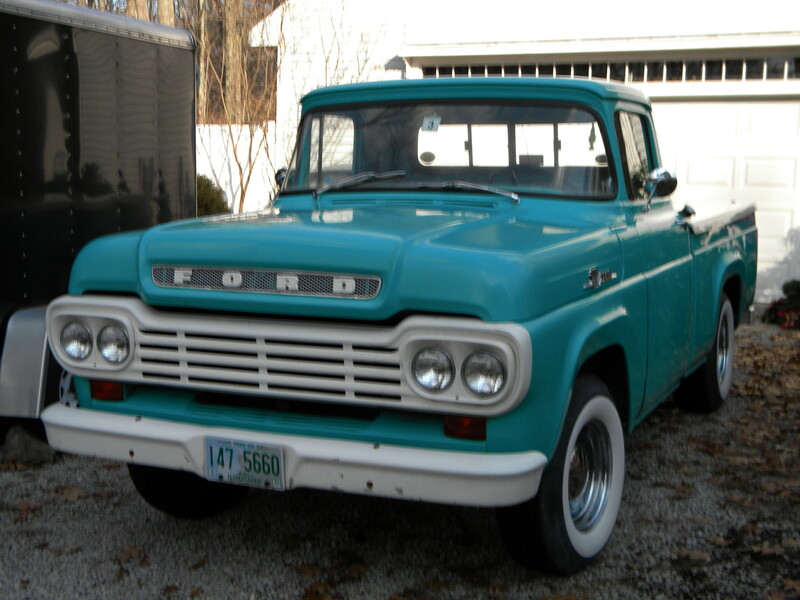 We also have a few old cars and trucks kicking around that i am sure you would like. Looking for discounts? I am happy to ship several items to your Mode T, Model A, Early V8 club to help save you a few bucks! Got a big project going on? I try and discount all parts 10-23% here on my site, however if you have an order with a retail value of over $1,000.00, send me the list of parts, I will try and sharpen the pencil for you. In order to get you the best price possible, some of the manufacturers require us to purchase in lots. That said, there are times when I can have have an excess amount of Running Boards, 1932 and 1940 dash's, Gas Tanks, 1934 Grilles, 1940 Dlx Grilles, Spreader Bars, etc. So, if you are looking for any of those items drop me a note, if i can work a deal I will.